Hello There! I'm Devin Anding creator of My Twin Lens Photography. My love for photography began in California, when, at nine years old, I saved up enough to purchase my first 35mm camera. I have loved photography ever since. With over 10 years of experience in the wedding industry, I know how to capture those intangible moments that tell the stories you’ll never forget. I also curate individual portraits from an editorial and modern perspective, blending the personal with the aesthetic. I am now based in Tacoma, Washington, and I am excited to hear from you. Thank you for visiting! 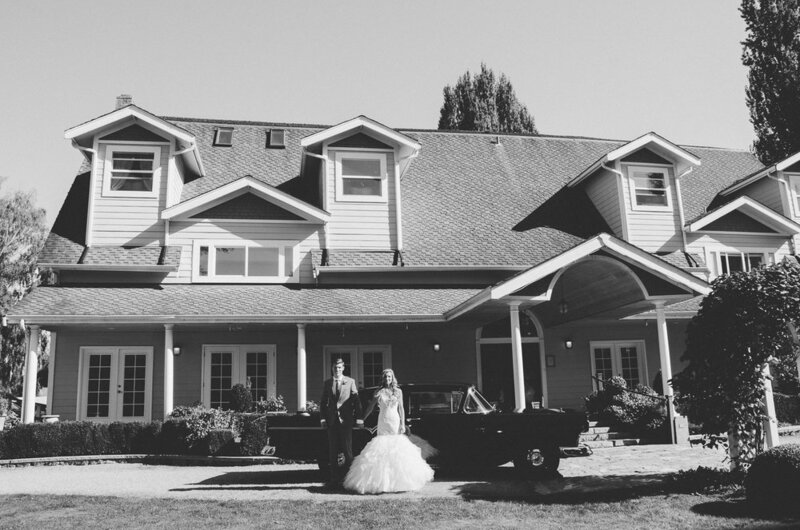 Devin is super talented, tons of fun, and helped to make our special day even more magical. Do yourself a favor and book her for your photography needs; seriously. Why? She is super talented and produces fantastic images, at a more affordable price than much of her competition. She is fun and authentic, which makes your time getting photographed much more enjoyable (this can make a huge difference in how you shine through in the pics). She goes above and beyond (she set down her camera to help me remove a red wine stain from my wedding dress before going back out to my guests, AND she brought me coffee and goodies while getting ready). If you're engaged and looking for a photographer who makes taking pictures fun, easy going, and smooth then Devin is your girl! She took our engagement photos and wedding photos. And did an AMAZING job with both. We have a very large family and bridal party, and she was able to take bridal party and family photos efficiently while still capturing the important moments we want to remember. She is excellent at making you feel comfortable and relaxed while your in the spot light. During the wedding, Devin was more than just a photographer, she was also a guest. She blended well with our family and friends, getting everyone to relax and be candid in front of the camera. To make this process even better, Devin provided us with a sneak peak of our photos within 1 week from our wedding day. Then we got all our photos within 4 weeks. I HIGHLY recommend Devin for anyone who is planning an engagement shoot or wedding!! Devin is wonderful! I had the pleasure of tagging along to “model” for a friend’s website shots and what followed was a fun, productive photo shoot facilitated by Devin. I was most impressed with how many creative ideas she brought to the session, clearly having done her research for the clients product shots and overall vision. She was a joy to work with and be directed by, would 10/10 recommend her for, not only studio work, but any meaningful event you wish to immortalize! Thank you Devin!